An array of breads and treats from Butterscots at Cairdean Estate. Photo: © tablehopper.com. Hey there, how you doing with this stunning weather? I know, right? I am loving these warm nights. SF Indian summer, you never disappoint! I am actually going from the frying pan into the fire: I’m heading up to Sonoma this afternoon to check out the new Williams-Sonoma landmark store opening right off the plaza (our fab 707 Scout Heather Irwin writes about it in today’s column, read all about it) and to raise a glass to Chuck Williams for reaching his 99th birthday, just wow. I will be staying the night so I can visit the new Patz & Hall tasting room tomorrow, and hit a fun New England-style party (a “badger grab”—I’ll report back on what the hell that is) at Hamel Family Wines—when I found out Barbara Lynch was going to be there with lobster rolls, I was like, yeah, I need to make that happen. Don’t want to be stupid in life. Today we also have a review of my experience at The Farmer & the Fox (which is where you’ll find chef Joseph Humphrey these days) and Cairdean Estate, just north of downtown St. Helena. Maybe it’ll inspire you to head up for a getaway? 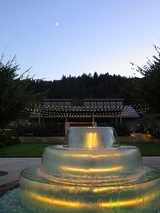 If so, you’ll want to read my recent piece on St. Helena for the Bay Guardian before you go. Okay, I need to pack my overnight back and hustle up to the 707 before the traffic goes from bad to worse. Have a swell weekend, yeehaw! Here’s another Bay Area edition of the Bookworm with two fresh books from local chefs and authors. 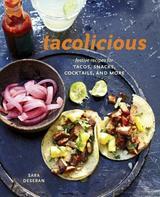 First up is Tacolicious by food writer extraordinaire Sara Deseran (Ten Speed Press). And I emphasize her writing chops before her ownership stake in Tacolicious, as so many cookbooks are not well written. But Tacolicious (the book) has a real sense of story, warmth, and charm. It’s full of lessons learned from the opening of three Tacolicious locations, plus recipes, of course, and an assortment of sidebars, tips, and tales. You can use the book as seriously as you want—toast your own recado spice mix, for example. 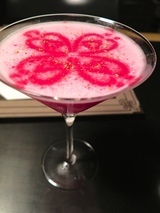 Or just use the foolproof margarita recipes as a launching point for creativity. The book includes a variety of easy recipes for the home cook: snacks, drinks, and, of course, plenty of tacos. There’s even a “Cliff’s Notes” section on tequila. And it’s priced to sell: just $22 in a lovely package. 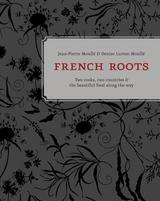 Next up, French Roots by Jean-Pierre Moullé and Denise Lurton Moullé (also Ten Speed Press). Let’s start with pedigree: until he retired in 2012, Jean-Pierre Moullé was the executive chef at Chez Panisse, where he began working in 1975. Denise Lurton Moullé hails from a renowned winemaking family in Bordeaux. So the good life is the starting point for this very personal book of recipes and stories. They risk coming across as too “too,” but their earnestness, honesty, and pure joie de vivre can’t be faked and may just inspire you to make that leg of veal with porcini mushrooms. Winter is nigh, after all. There are distinct sections in the book covering “French family life,” “Berkeley in the Seventies,” “Back to Bourdeuax,” etc. So there’s a nice variety of recipes, both traditional French and French-Californian (à la Chez Panisse). The recipes range in difficulty, but any home cook with patience can follow them; they’re clear. And there are tales of that famous restaurant, stories of French Sunday lunch (epic), and sidebars on topics like the joys and challenges of beekeeping or finding the balance in making ice cream. 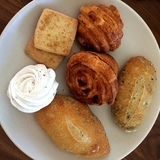 If you need some inspiration, or just want to France out on your couch, French Roots is sure to please. As with everything Ten Speed does these days, the “package” is beautiful—photography, layout, and an elegant cover. All for $35. Green Apple has recently opened a second location in the Inner Sunset (on 9th Avenue at Lincoln): Green Apple Books on the Park. We’ve shacked up with Le Video; they’ve moved upstairs and preserved their collection of 100,000 movies. We remodeled the ground floor to offer 25,000 new and used books in all subject areas (including cookbooks, of course!). The kids section is especially vibrant, and the space was designed for events, so expect literary hootenannies on a regular basis. Drop by while the place still smells like fresh-cut pine. All content © 2014 tablehopper, LLC. I am more than happy if you want to link to my reviews and content elsewhere (thanks, glad you dig it), but republishing any part of them in any way, shape or form is strictly prohibited until we talk first. Please take a look at my Creative Commons license for more detail.